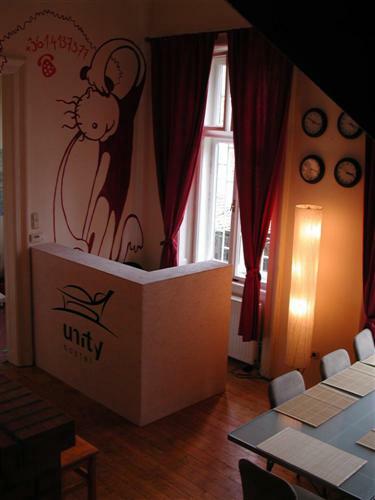 Unity hostel is your typical traveller's Old school style hostel located directly beside the most popular meeting point in Budapest; Oktogon and Liszt Ferenc Square. That`s what our location is all about. We run a quiet and laid back hostel with extremely informative staff offering detailed information on directions, sites, cheap bars, pubs, and really cool underground clubs, all within a few minutes walk. 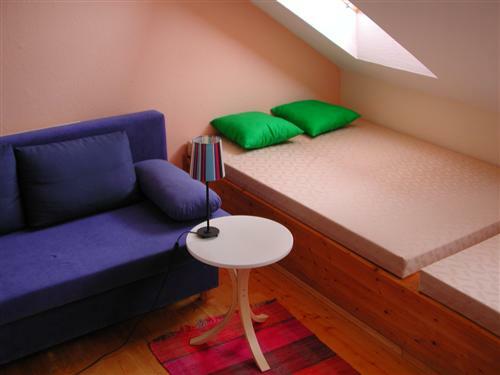 The Hostel provides dormitories as well as private rooms on two floors. Each floor has bathrooms and restrooms as well for the most convenient experience. Free breakfast, bed linen, free internet access, and a fully functional kitchen are only a few examples from the long list of amenities. Our spacious and world renound Roof Terrace is the best place to relax or chat with other backpackers before you hit the road. Our staff will take extra steps to make sure you have an unforgettable time in Budapest. Unity roof terrace is the perfect place to chat and relax. The terrace is overlooking the famous Liszt Ferenc Music Academy buliding. Bathrooms on both floors. Common room with big screen TV and DVD. Common kitchen area for guests. Bike parking possibility. 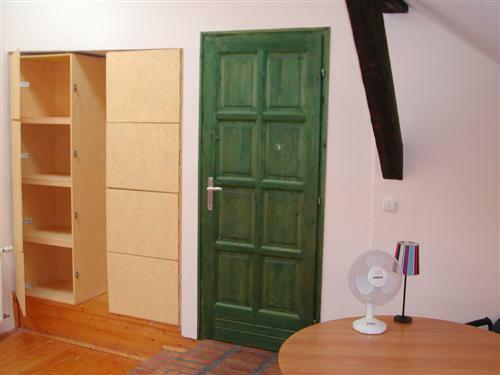 Each room has private lockers for the safe keeping of the valuables. 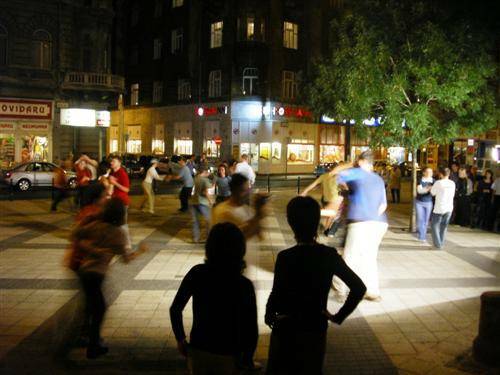 The most popular meeting point in Budapest, Oktogon and Liszt Ferenc square. Kiraly utca is in the midle of it all, offering plenty of Clubs, bars and underground places. Every major fastfood restaurant in one spot. Take the underground Metro one stop till 'Blaha Lujza ter', change to tram number 4 or 6 (every 4 minutes) towards 'Moszkva ter'. Travel two stops until 'Király utca'. Get off and pass 'Pizza Hut' on the corner, we are in building number 60 on the right side (opposite Pizza Hut) of 'Kiraly utca'. Take tram number 4 or 6 (every 4 minutes) from in front of the station towards 'Moszkva ter'. Travel two stops until Király utca. Get off and pass 'Pizza Hut' on the corner, we are in building number 60 on the right side (opposite Pizza Hut) of 'Kiraly utca'. Take the airport bus (AIRPORT BUSZ #200) to last stop 'Kôbánya-Kispest' metro station, from there take the underground metro until the main station 'Deák tér' and walk onto 'Király utca', we are on your left only 10 minutes walk, directly before 'Liszt Ferenc tér'. Take the underground Metro until 'Deák tér' and walk onto 'Király utca', we are on your left only 10 minutes walk, directly before 'Liszt Ferenc tér'. If you are arriving from anywhere else, please feel free to e-mail or call.